The need for food and habitat for pollinators is an increasingly important topic. 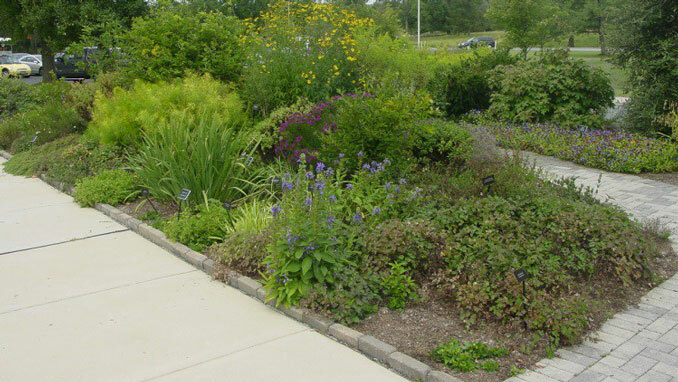 Knowing which native plants are the most beneficial and learning how to use them in the landscape can be a challenge. Join us at 9:30am on Tuesday, February 19 when Wendy Brister will review the top ranking plants for pollinators, talk about their cultural needs, discuss design considerations and provide information about local sources for pollinators. About the presenter: Wendy Brister is a garden designer/consultant and lecturer in the Mid-Atlantic area. She is a adjunct instructor of horticulture at Community College of Baltimore County and the Conference Coordinator of the Native Plants in the Landscape Conference held every June at Millersville University.